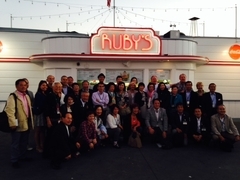 NBSCA welcomed a delegation from Okazaki, Japan on October 12th to celebrate together the 30th Anniversary of Sister Cities. 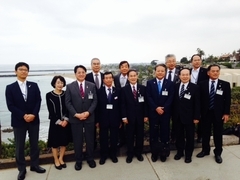 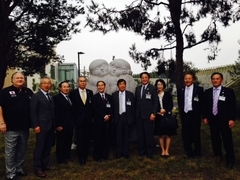 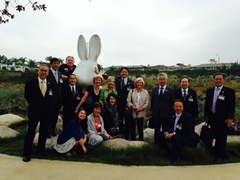 Mayor Uchida, Mrs. Uchida, Council Members and many friends from Okazaki visited Newport Beach. 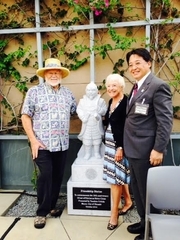 In honor of our many years of friendship a statue of shogun Tokugawa Ieyasu was unveiled at a special ceremony at the Newport Beach Central Library on October 14th. 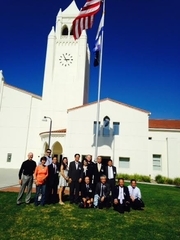 The Okazaki delegation attended the Newport Beach City Council meeting to receive a Proclamation of continued friendship from Mayor Hill to Mayor Uchida. 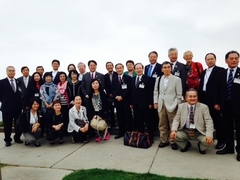 A celebration dinner followed at the Newport Beach Vineyard and Winery. 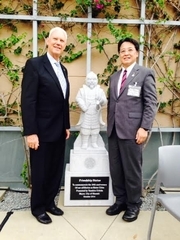 We received some wonderful press coverage as well about the dedication of the statue in the Newport Beach Independent, click here to read the article. 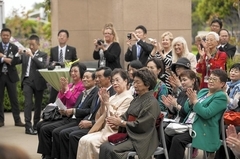 There was also a feature in the Daily Pilot, click here to read the article.